Have you ever heard of a Mind Eraser? When I first heard the name, I thought it might be a crazy amusement park ride. But it’s actually a fun Kahlúa® cocktail that is super simple to make and really refreshing. 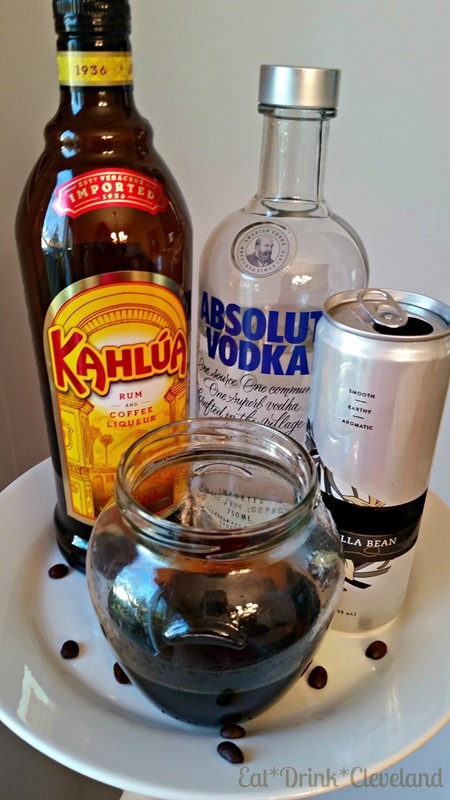 A Mind Eraser is a combination of Kahlúa® and vodka topped off with a little club soda. The key is to layer the ingredients in that order because the Mind Eraser is a ritual of layering and drinking down with a straw. 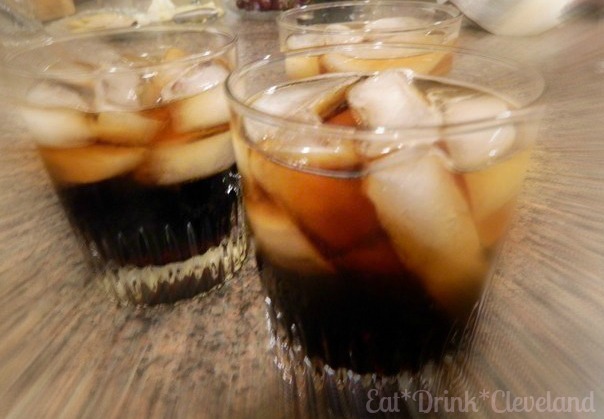 This allows you to taste each layer separately with a nice bubbly club soda finish. The Mind Eraser is delicious but I wanted to kick things up a notch. 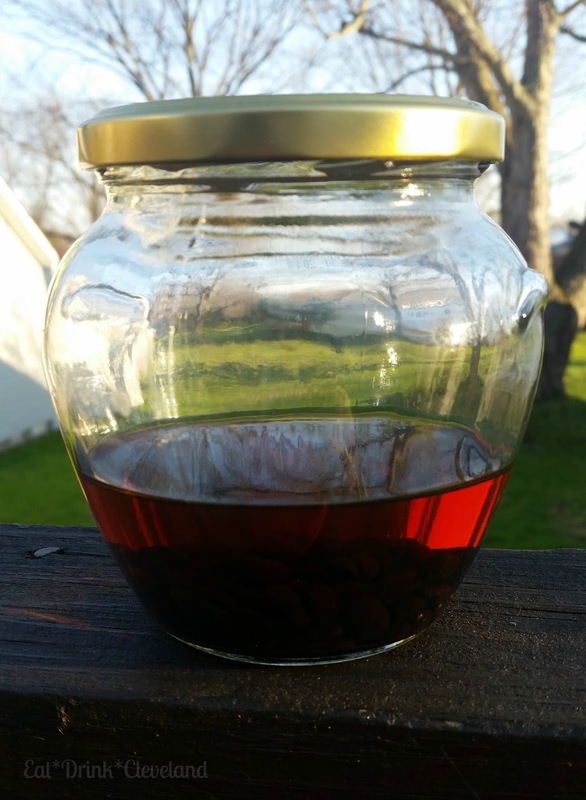 I knew I wanted to enhance the natural Kahlúa® coffee flavor so I started by making a coffee infused vodka. This simple trick is a great way to boost the flavor of your cocktail. I decided to take it one step further and add a flavored soda. I made my version with vanilla flavored seltzer water but if you want the drink to be sweeter, try making it with vanilla cream soda. Both are delicious! My version is almost as easy as the original but has a bolder flavor that is worth the extra effort. It was the perfect cocktail to bring to my friend’s birthday party and was a festive alternative to the traditional hot coffee. 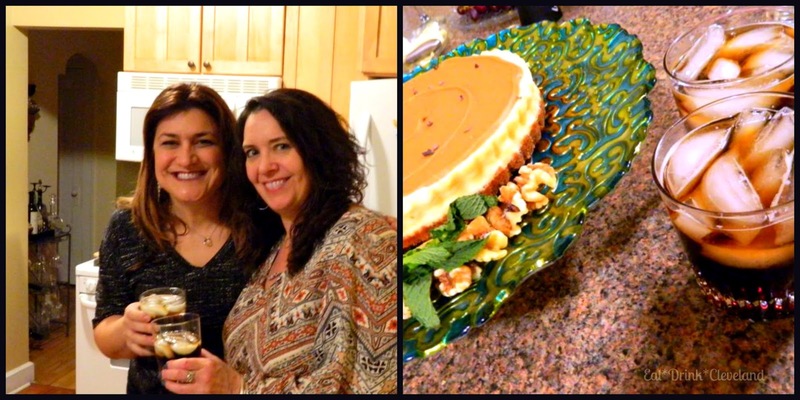 We had cookie butter cheesecake for dessert and the Mind Eraser paired well with it and definitely upped the fun factor. In a tall narrow glass, add Kahlúa®, then coffee infused vodka. Top with vanilla soda. Add straw, sip and enjoy. For a stronger coffee flavor, swap out the coffee beans with espresso beans. To help with the layering, turn a spoon upside down and pour each ingredient over the back of the spoon. Trust me, if I can do it – you can too! The video was my 2nd attempt and it turned out pretty good. Practice makes perfect. Combine beans and vodka in a glass jar. Let sit, shaking occasionally, for at least 3 days. The flavor intensifies the longer is sits. Strain before serving. Keeps for up to two months.